Turns out that they couldn't have been more wrong. N7027Z is NOT a Grumman HU-16A Albatross. An HU-16A is the short-wing USAF variant. You can tell it's a long-wing variant (without necessarily seeing its planform from the top) by the shape of the wingtips, the rudder, and the relationship of the leading edge of the horizontal stabilizer to the leading edge of the vertical stabilizer. And by Courtesy's own admission, it has "Complete logs and records including original U.S. Navy Log"
Even worse, according to FAA type certificate no. A33SO* ex-USN Bu. no. 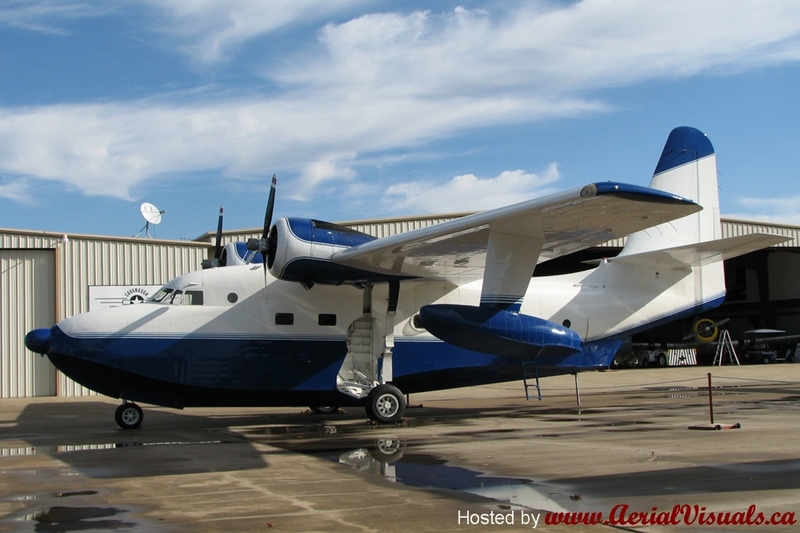 137911 is listed under Section V as an ex-US Coast Guard model HU-16E. ** WTF?!!! According to my notes, it was the 17th design number G-211 long-wing conversion project for the US Navy, Grumman project code no. 17D. And of course, its actual (i.e. "correct") civilian OEM serial or "construction" number is G-384. What is it about Grumman Albatrosses in particular that cause so many so-called aviation "professionals" to get so much about them so wrong? On that list, in addition to the "salesmen" at Courtesy, I also include, the owner(s), the FAA ASI and/or DAR(s) who signed-off its certificates of airworthiness and registration, the mechanics who work on it, the FAA engineers and/or administrators who approved TC A33SO, and given a few more minutes, I may think of even more.... Even so, as it is it already represents too much incompetence IMHO.